Serious thinkers, energetic problem solvers. We’re unashamedly serious about your business. Our pride lies within our commitment to finding profitable growth with an energetic, professional and focused mind-set. As an independent business we offer only what you need. Nothing more, nothing less. 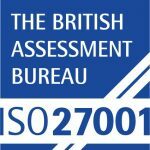 Rainmakers CSI is certified with the ISO 27001 accreditation.